If the logo of your corporate cannot be altered or your photographs can’t be represented well on stamped metal pins, offset printed pins will perfect for you to choose. If your custom designs have a lot of details, such as a painting or photograph, we recommend ordering offset printed pins. If you need a rush order, offset printed pins is your best choice because of their quick manufacture process. How offset printed pins created? Step 1: Creating a design for you or received your photo or picture. Step2: The latest printing technology will utilized to print your design directly onto the brass base metal. Step3: Once the color has set, a trimming tool will used to cut out each custom printed pins to its own uniquely designed shape. 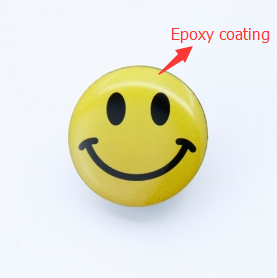 Step4: Epoxy coating will apply for each offset printed pins to protect and enhance that your photo stays vibrant and safe for years to come! Step5: Attachment will attach to the offset printed pins, then for a final inspection before being packaged and shipped directly to you. 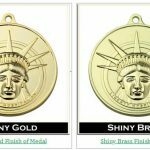 Different with other type of lapel pins, offset printed pins are made from a stainless steel or brass metal, and metal finish is brass gold tone or brass silver tone. After pin is created, we coat each one with a protective epoxy coating. This is an option available on all of our offset printed lapel pins, because we wouldn’t want your offset printed pin to scratch or chip. The epoxy is used to create a sealant to ensure that your photo stays vibrant and safe for many years. It gives your lapel pin a smooth, jewel-like finish. Compared with our other type of lapel pins, offset printed pins go through somewhat of a different process. So some of advantage about offset printed pins have showed clearly and unique. A piece of metal in the basic shape you want will be created, and your photograph will be printed directly onto brass metal. An exact replication of your company logo or image on custom lapel pins. It is an excellent choice for designs and photographs that show gradual color changes and color shifts. No need for raised metal areas to separate unlike colors and areas. Custom sizes and shapes are available and no text limitations on font and color. Full-color offset print graphics, well-suited for intricate designs and artwork, Quicker Production Time than other type of lapel pins. To protect the custom pins from scratches, a protective epoxy dome is added, the smooth finish with polished edge gives a sleek, modern appearance. By enter into our website: https://www.gs-jj.com/lapel-pins/Custom-Lapel-Pins. 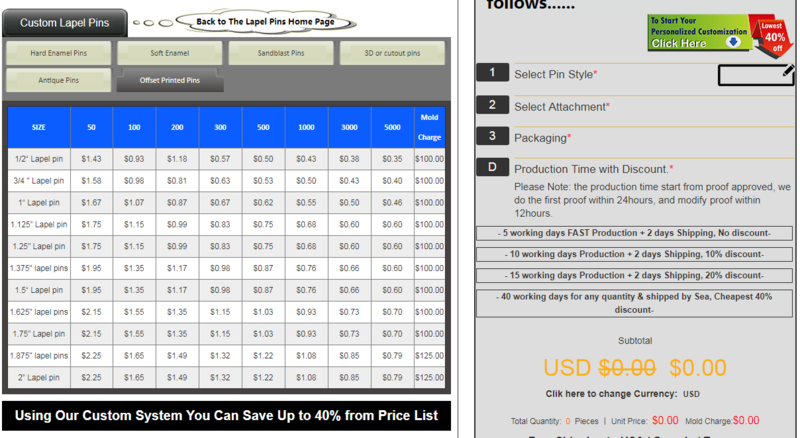 Basic on the price list on the left side and your own sizes and quantities, you can have a plan for lapel pins. In additional to, you can choose all the details what you want by our Automated Quotation System on the right side, we will contact you soon to meet your request. Moreover, you can just feel free to call 1888-864-4755 or email to info@gs-jj.com to indicate your idea. 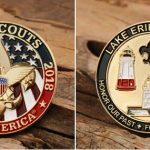 ← What is the Difference about Colors in Custom Medals? jlmuspjcrs,Some really nice stuff on this website, I enjoy it.